When learning is purposeful creativity blossoms, when creativity blossoms thinking emanates, when thinking emanates knowledge is fully lit, when knowledge is lit., economy flourishes and when economy flourishes, nation becomes strong. To make learning purposeful there is a need of institutions which are able to fulfil goals of real education. 'Rawat Educational Group'. ‘A place where learning is purposeful, creativity is in the air, innovation welcomes every one and knowledge produces intellectuals. In 1983 Foundation of Rawat Educational Group was laid by Mr. B.S.Rawat, the Chairman of the Group. A small start from Vivek Vihar with 50 students turned into 13500 students at present with all efforts of dedicated and devoted team of the group. Every success is the result of perfect direction and motivation of leaders. So behind the tremendous success of this group some down to earth personalities day & night efforts are responsible. Mr. B.S.Rawat Chairman, Mr. Narendra Rawat (Director) and Mr. Hemendra Rawat (Director) are the names who have become glittering stars in the sky of education. Now Rawat Educational Group is flourishing with its various branches and these are Rawat P.G. Girls College, Rawat B.Ed College, Rawat Nursing College, Rawat Post Basic Nursing College, Rawat Sr. Sec. School, Rawat Public School, Vivek Vihar, Rawat Sr. Sec. School Mansarover and Rawat Public School, Pratap Nagar, Sanganer, Jaipur. Rawat Public School, Pratap Nagar, Sanganer, Jaipur has become well known place not only in Pratap Nagar but also in all over Jaipur. Established in 2009, the school has made new standards of achievements under enthusiastic direction of young and dynamic director Mr. Narendra Rawat with all creative and innovative ideas. He has made records of success year by year. 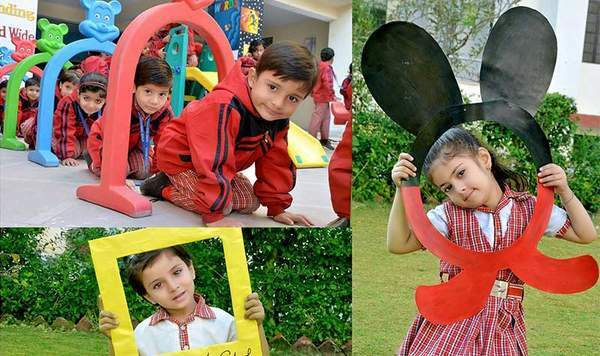 Rawat Public School focuses on the Education which nurtures the child’s curiosity about the environment and integrates the thinking process with the skills of hand, limb and body. So, let's start a new journey for a wonderful world of education which is more than theory, which is more than bookish knowledge, which is more than class room teaching. Because it is the world of perfection where values, ethics and morals are the essential part of life.